Dog jumping competitions are one of many agility sports which test the dog's endurance and speed as a part of a timed obstacle course. 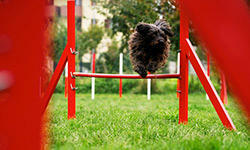 Dog jumps represent the heart of agility competitions are a popular sport for owners to enter their dogs in. Competition dogs perform a variety of styles of jumps. 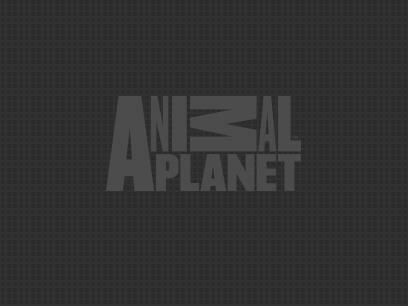 These competitions test both the dog's skill set and its handler's training skills. That's why thorough and proper training is paramount to breeding a successful dog jumper. The best place to start in preparing your dog for jumping competitions is to make sure that he is in good health, obedient and understands basic commands. Most handlers start their training their show pups while they are very young. This is the time in their lives when they learn and adhere to basic obedience commands - like stay, sit, lie down, and come - that will benefit them while they are training to become dog jumpers. The best way to start is to teach your dog how to jump. You can show him by performing jumping exercises with him to encourage him to jump as high as he can. He won't be a world-class jumper overnight. It will take time, but if it's in him, he'll get it. Some handlers hold treats high in the air to encourage the dog to retrieve them. Training for jumping competitions also increases a dog's coordination, endurance, physical health, and indirectly, improves his behavior. Another way to train your dog is to use cinderblocks and plywood to build jumping equipment for your dog to practice with. As he gets more and more comfortable, build add cinderblocks on top of each other to increase the height. When a handler feels that a dog is ready to move to the next level, some will move to having them practice by jumping off of lake docks. The handler will extend a long pole with a fake bird or other object to entice the dog to jump in air to try and retrieve. Dogs learn to catch the object in mid-air reaching higher and higher heights. The heights that competition dogs must jump range from eight inches to more than three feet and higher, depending on the size of the dog. There are various programs in show competitions with different height divisions so there are opportunities for all types of dogs prepared to compete. Whether your dog ends up best in show or not able to qualify, the benefits of agility training already make him a winner.